“A rose by any other name would smell as sweet.” Shakespeare festivals are around the corner and we are filling our kitchens with rose recipes! Everything from cocktails and desserts are getting a splash of our favorite floral. Add a pinch for garnish and you’ve got the “Hostess of the Season” award locked in. In case you missed it, our latest beauty obsession is rose water. Buy a batch of roses at the farmer’s market this weekend and make your own with the easy DIY in the article. 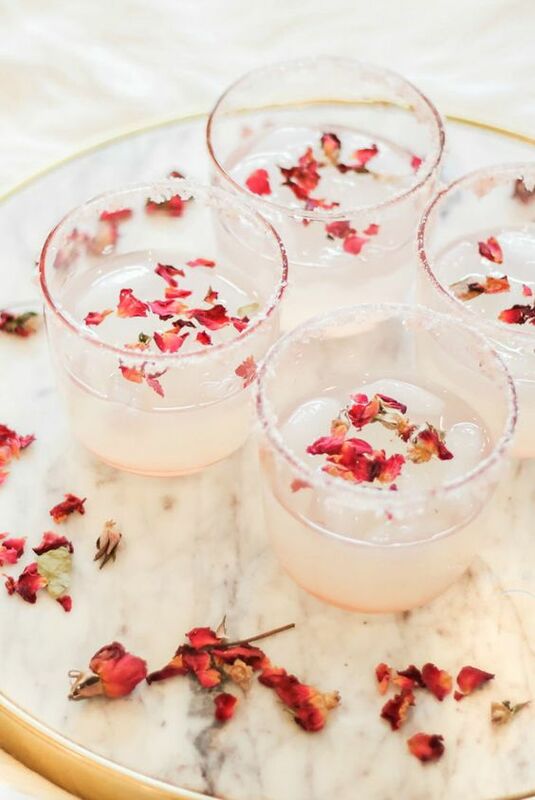 Each of our rose recipes calls for a smidgen of rose water to give them subtle floral notes. If you don’t make your own, we recommend getting a small bottle of Nielsen-Massey Rose Water. It’s perfect for cooking with and is Kosher Certified, Gluten-Free Certified, All-Natural, Allergen-Free, and GMO-Free. Rose water pairs extremely well with sweet berries, such as raspberries and cherries. Pistachio is also a favorite flavor that is enhanced with the powers of rose. Rosé, all day! Our first recipe is a sparkling sangria that is hot pink and full of cherry. This sangria is one of our favorite rose recipes; rosé, brandy, and cherry liqueur all in one glass! Just add a generous helping of chocolate truffles and call us in the morning. Get the full instructions for this tasty sangria here. 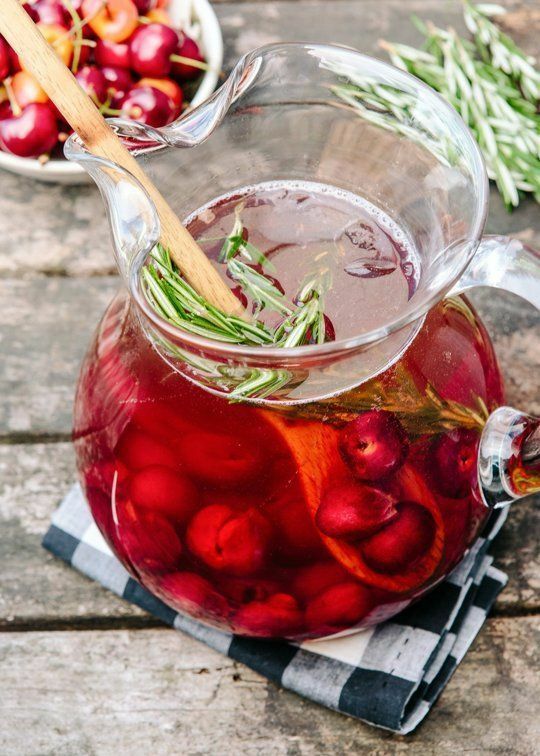 It’s super pretty with rosemary sprigs; on the table, or in the glass! Now that we’ve got you all liquored up, let yourself eat cake! It’s fun to add reds and pinks to rose recipes to enhance the ultimate girliness. 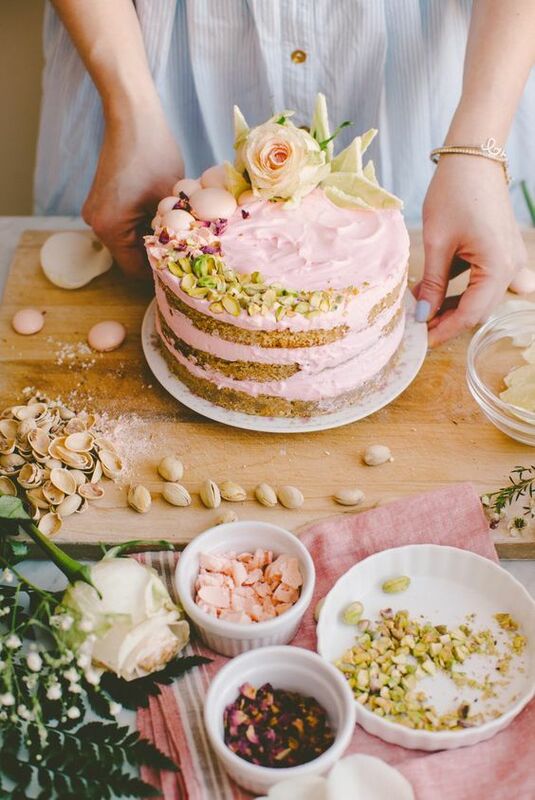 Marie-Antoinette was the muse of this unexpected pink Rose-flavored cake. It uses rose extract, which you can find on Amazon, and is gluten-free. The cake is surprisingly light, with whipped cream frosting and we love the pistachio cream between each layer. Get the full instructions for this eccentric, 4-layer cake here. 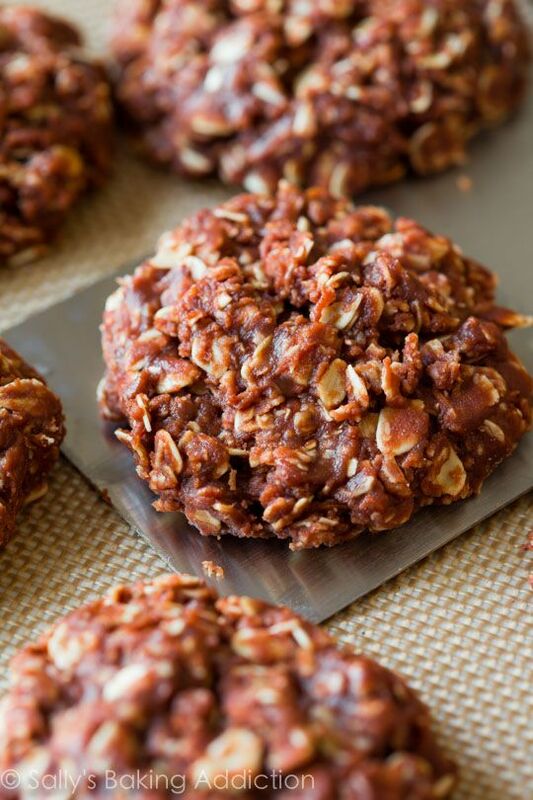 It boasts total “wow” factor and is a happy replacement for red velvet. Adding rose water takes an ordinary recipe and makes it instantly gourmet. Add a few rose recipes to your repertoire that are easy, like these yogurt pops. 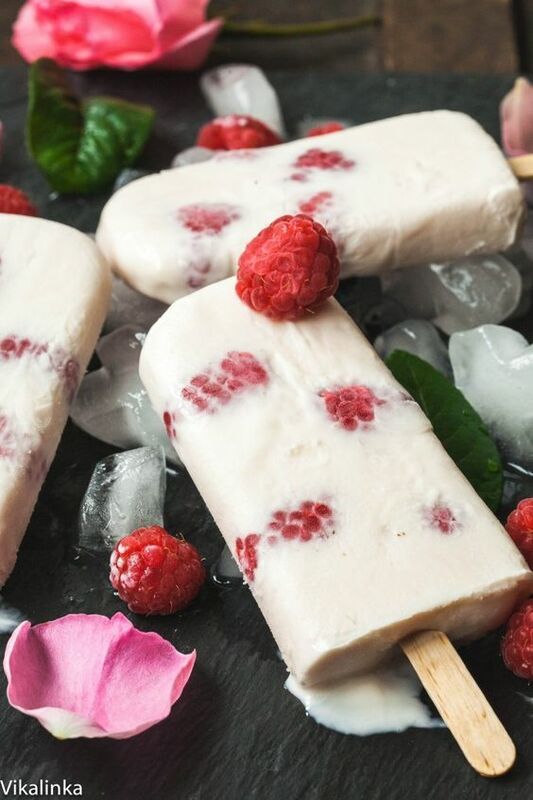 Rose water aside, these pops have a dash of raspberry flavored liqueur that make the fresh raspberries strong and sweet. Perfect to indulgence on a warm, sunny day! Get the full instructions for this easy, creamy dessert here. Breakfast on the go! Speaking of breakfast, why not start your morning with something romantic and frothy! Rose petals are edible, so be sure to dry some and use them to garnish your rose recipes. For the latte, heat the milk with cardamom (which has a spicy, herbal, citrus-y character) and rose water. Discard the cardamom pods before serving and garnish with a little thyme. We love the mix of floral and herbal and you’ve got to be sure to add the pink food coloring. 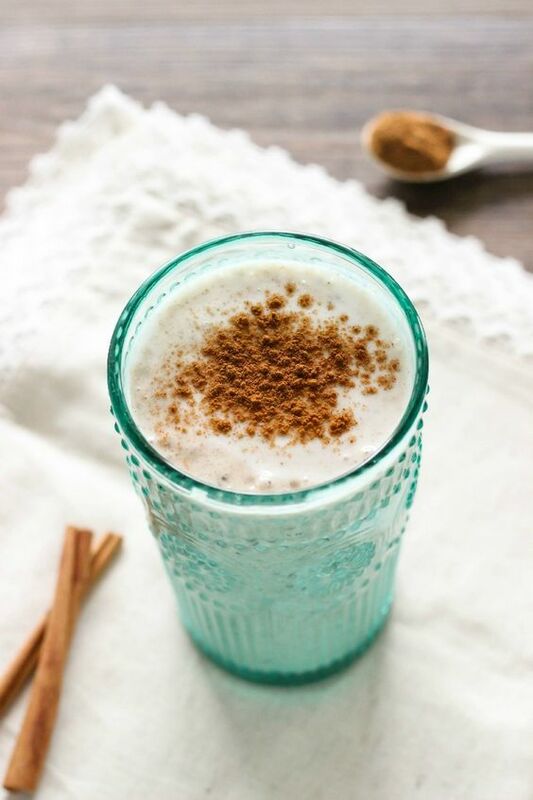 Get the full instructions for this yummy latte (that serves 2) here. Invite a girlfriend over for coffee time and reap the fruits of your labors through great conversation. 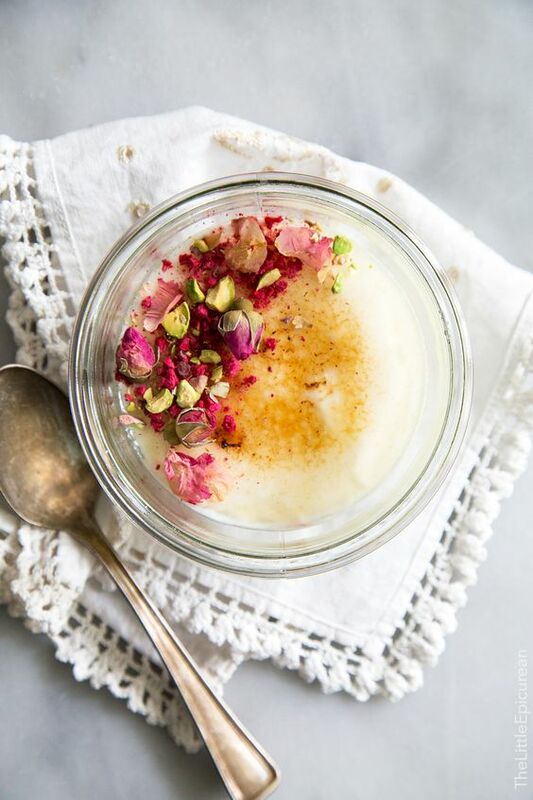 Our next recipe also uses rose water’s companions pistachio and cardamom. 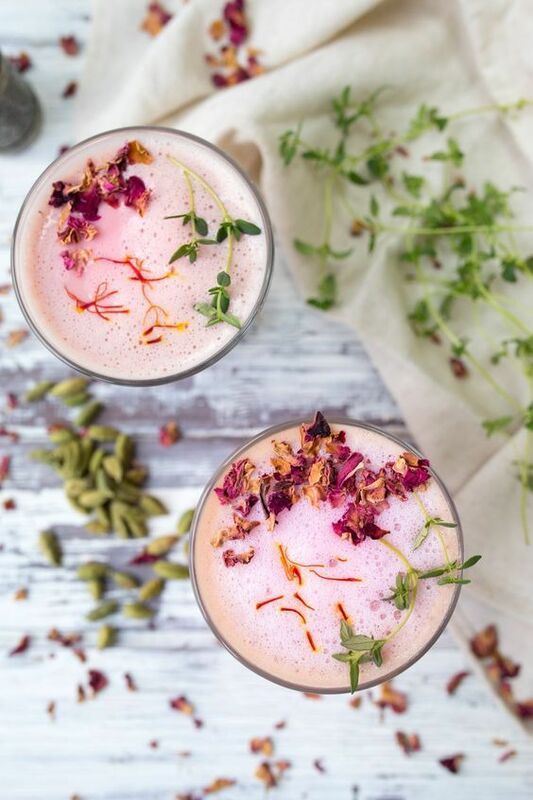 It’s one of our yummiest vegan and gluten-free rose recipes we’ve tried. 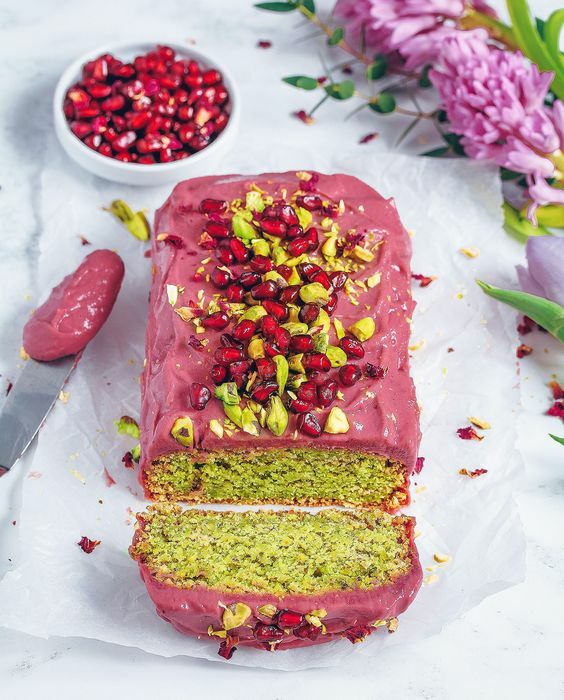 The pink and green loaf is a little like a mix between baklava and Turkish delight. It uses coconut yogurt instead of oil to keep it rich and moist. 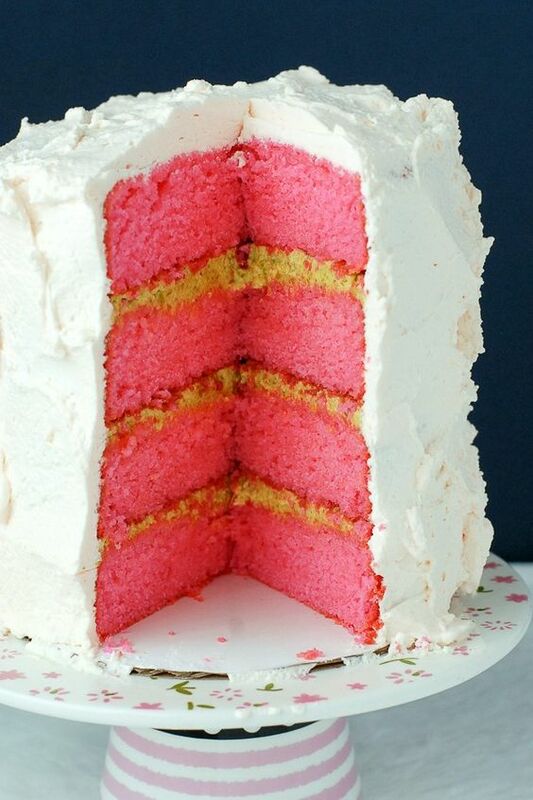 If you don’t have beetroot powder to color the frosting, a healthy dose of food coloring will also do the trick. Get the full instructions for this yummy concoction here. Perfect for baby and wedding showers! As wonderful as rose water is, remember that a little bit goes a long way. Our rose recipes are sweet and lovely, perfect for making something ordinary more special. Rose water is sweet and refreshing and the smell helps to enhance the flavor. 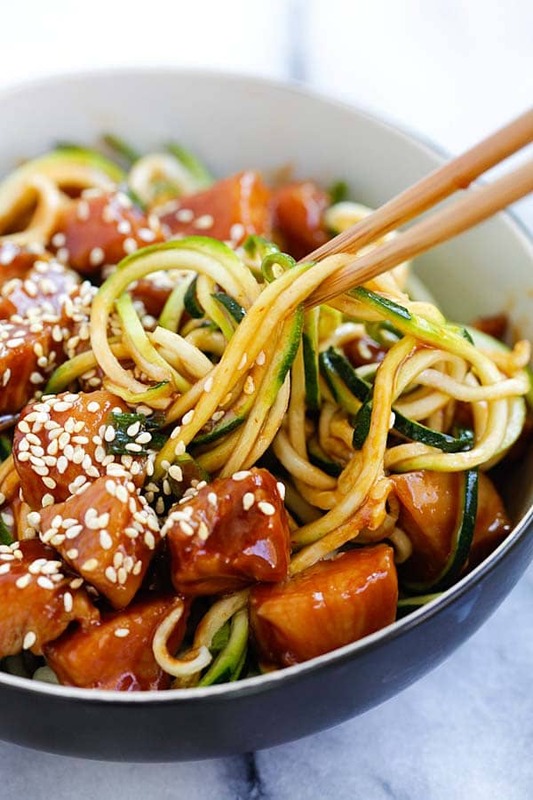 Give it a try and make someone’s day with one of these recipes. Even your own! I took a bite out of a rose once… it tasted terrible.